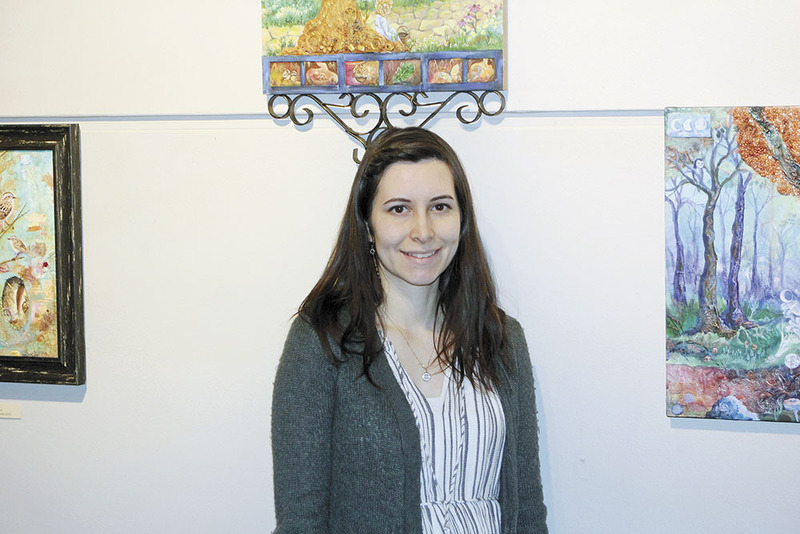 Artist Autumn Rozario Hall was the guest of honor Friday at the first reception at the Charles City Arts Center of 2019. 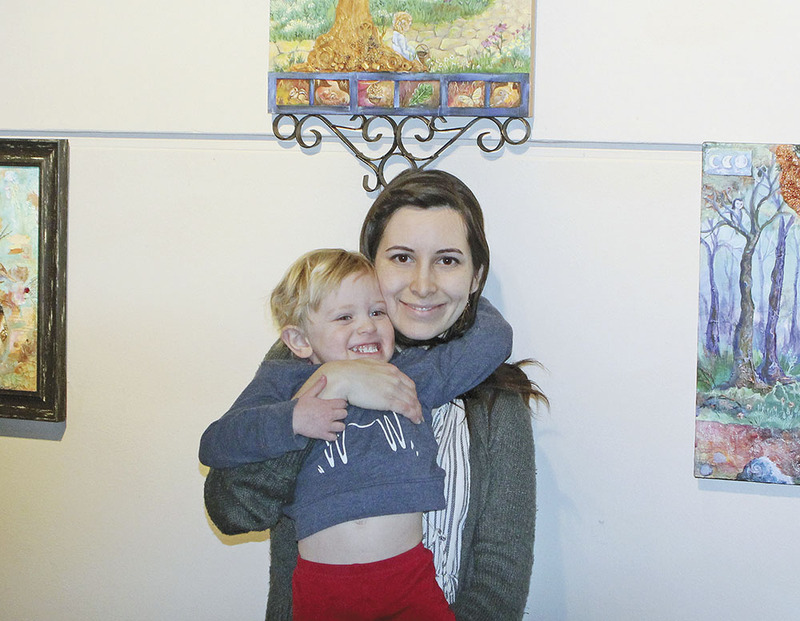 Hall’s exhibit of paintings and mixed media will be on display through the month of February, as “Moments of Wonder” is the theme. Hall, who set up at the CCAC Friday morning, said she has a couple of new pieces in the exhibit of which she is particularly proud. Hall greeted the public with her husband, Kyle, and their son Rowan. 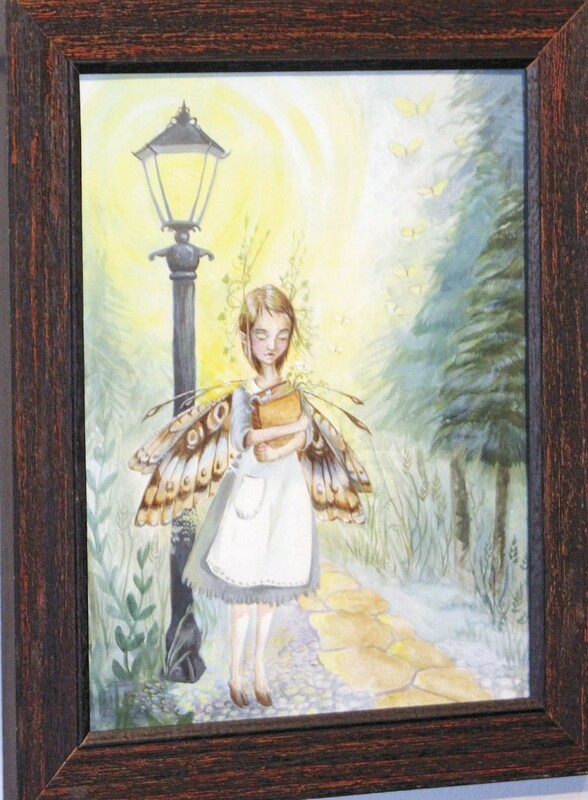 She works in acrylic, oil, and mixed media as well as incorporating found objects such as bones, laces, wings and vintage book pages. 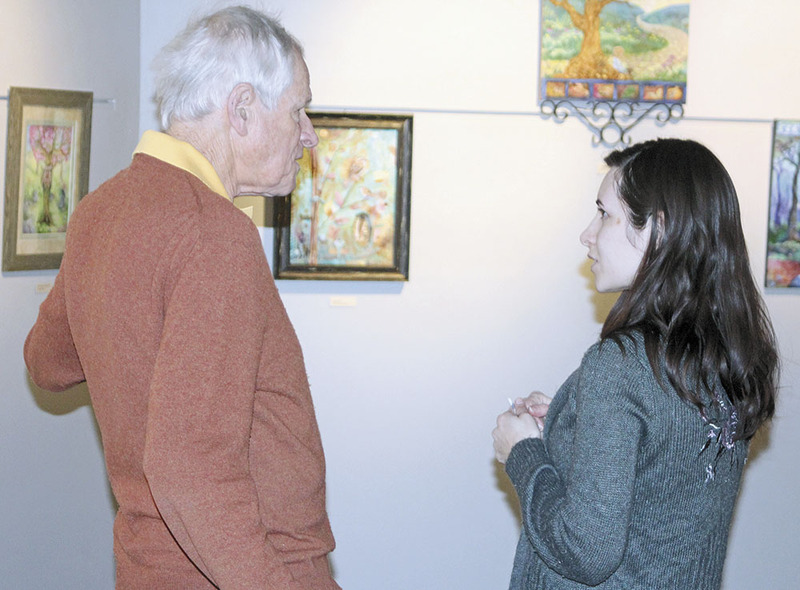 She said she was pleased with the turnout of Charles City art patrons on Friday. 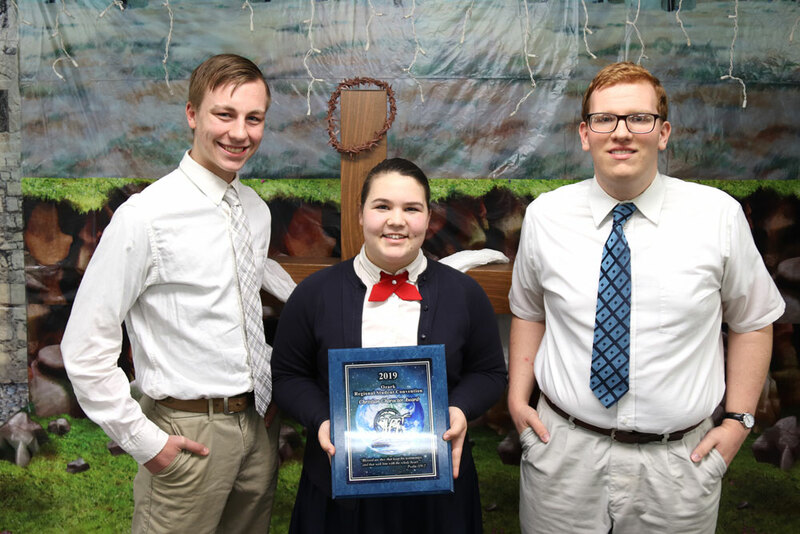 Hall was among the artists whose work was on display at the 2018 Artafest in Charles City, and a mutual friend introduced her to CCAC Director Jacqueline Davidson. 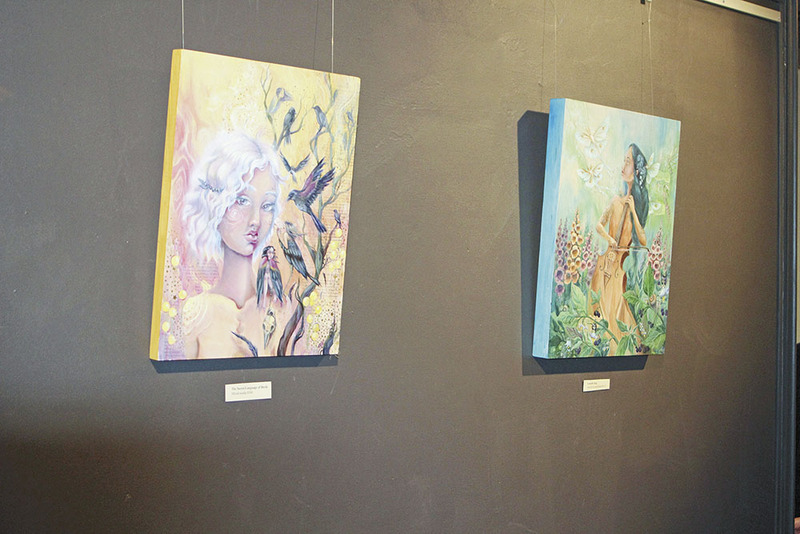 Much of Hall’s work is available to look at on her Facebook Page, “Whispers of Autumn,” but as she said, her art is much more impressive seen live and up close than on a computer screen. 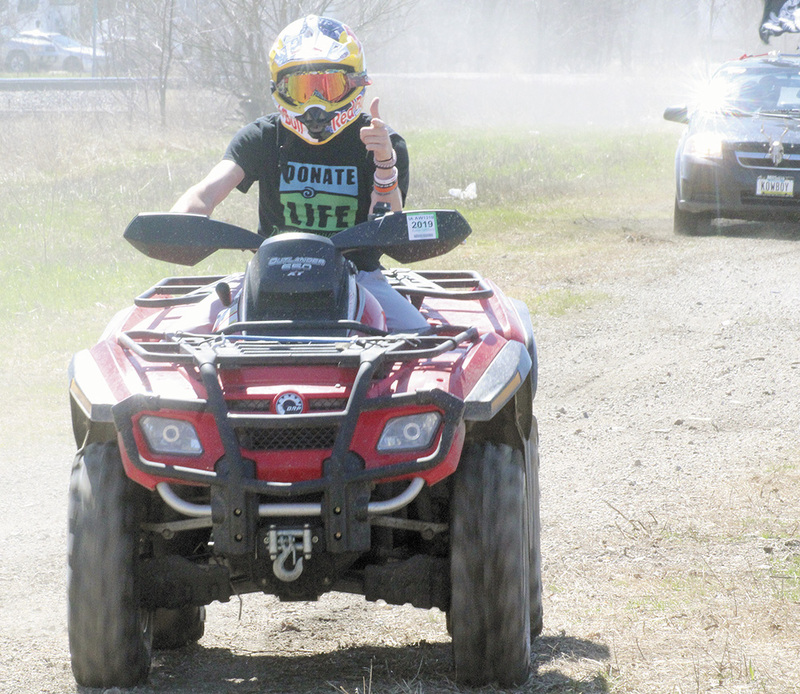 She encourages people to stop down and experience it. The CCAC is open to the public from 1-6 p.m. Wednesday through Friday, 10 a.m. to 2 p.m. on Saturday.